Houston, TX (May 15, 2018): David Weekley Homes, the nation’s largest privately-held home builder, is now building in Quail Park, the newest section located within the 1,000-acre master-planned community of Cane Island. Located in Katy, homes in Cane Island – Quail Park are situated on 65-foot homes and priced from the $375s. There are eight floor plans available, ranging from 2,600-4,000 square feet with four to six bedrooms, three to five full baths and three-car garages. All homes include open-concept floor plans with island kitchens, outdoor living options and more. This community offers many amenities to residents, including Amenity Village, amphitheater with concert stage, conservatory, fitness center, yoga studio, pool, splash pad and more. Outdoor recreational opportunities include lakes and waterways for fishing and kayaking and hiking and biking trails. Cane Island is convenient to I-10 and is located just west of the Grand Parkway and north of I-10 along Houston’s Energy Corridor. Students attend Katy ISD schools, including Bryant Elementary, Katy Junior High and Katy High schools. 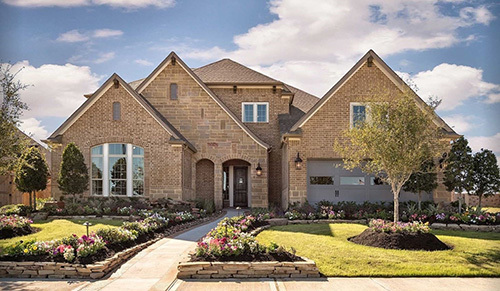 Visitors can tour the model home located at 2330 Karankawa Trail in Katy. For more information about David Weekley Homes in Cane Island – Quail Park, contact 281-249-7796. The Wellington floor plan is now available in Cane Island – Quail Park.